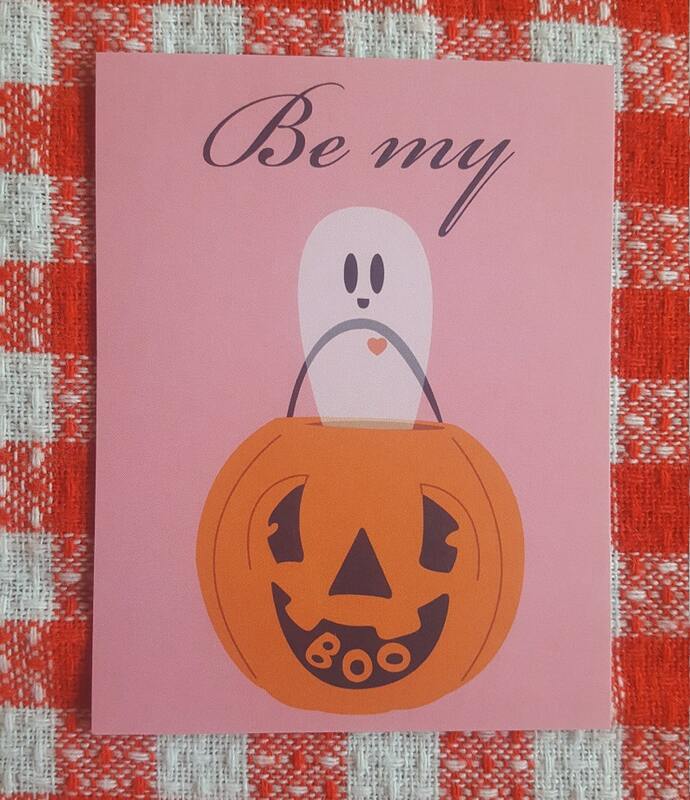 4" x 5.5" card with a ghost popping out of a trick or treat blow mold pail to ask someone to be your boo. They can double as a mini print if you get it and don't think you can part with it! These are super adorable, had to order them! Quick download and easy to print!